David Jones, Sydney’s iconic Department Store, re-opened its doors at 7.15 p.m. last night for a special viewing of Fleuressence, A Celebration of Fragrance. Guests were ushered into the Ground Floor where they were served Chandon sparkling wine and delicious canapés whilst they admired the magnificent floral decorations and arrangements. The orchids, particularly, were spectacular. The evening also featured a performance by the Australian Chamber Orchestra and Michael Edwards, author of Fragrances of the World, gave a speech. 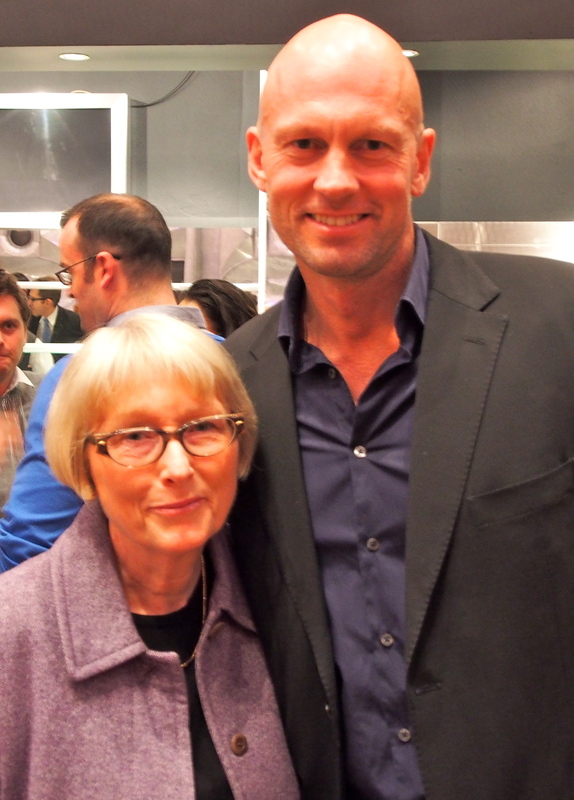 David Jones partnered with American Express Platinum Card for this exclusive event. Each Spring David Jones delights shoppers with their floral displays which people come from near and far to admire. This year they will not be disappointed. The display will run until 9 September at their Elizabeth Street Sydney store. Make sure you do not miss visiting David Jones. 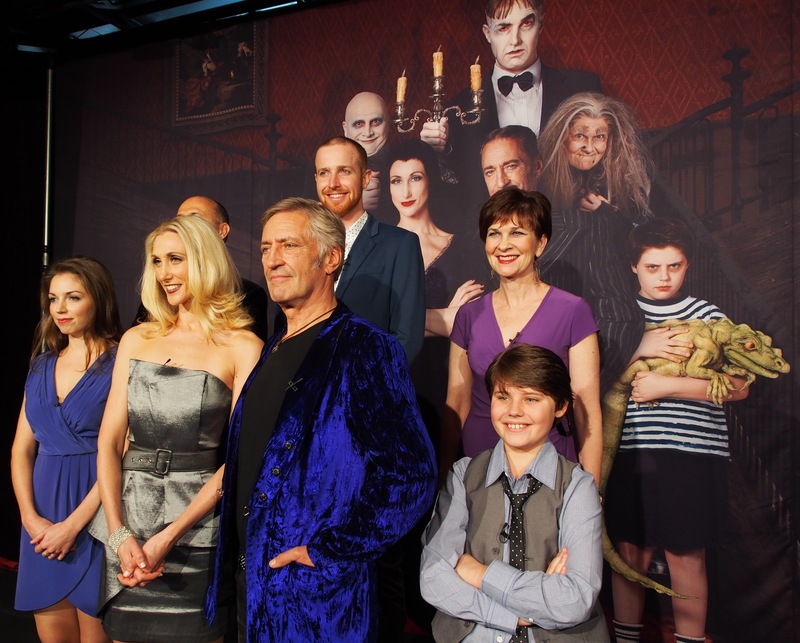 Sandra T.
The Australian premiere of the Broadway hit musical, The Addams Family, will open at Sydney’s Capitol Theatre on Saturday, 23 March 2013. John Waters as Gomez, Chloe Dallimore as Morticia, Russell Dykstra as Uncle Fester, Teagan Wouters as Wednesday, Ben Hudson as Lurch, Meredith O’ Reilly as Grandma and Liam Faulkner-Dimond as Pugsley. Acclaimed Broadway director and recipient of four Tony Awards, Jerry Zaks, will direct The Addams Family in Australia. Charles Addams, the creator of several thousand cartoons and drawings, many of which were published in The New Yorker, created the characters that came to be known as The Addams Family. With a unique style that combined the twisted, macabre and just plain weird with charm and wit, Addams’ drawings have entertained millions and served as the inspiration for television series and motion pictures. Old Paris, an exhibition of over 200 rare and original works by photographer Eugene Atget (1857-1927), is currently on display for the first time in Australia at The Art Gallery of NSW. The photographs show scenes of everyday life in Paris and reveal areas of the city that were untouched by Baron Haussmann’s 19th century modernisation program. Atget did not train as a photographer, only turning to it to try to earn a living after having no success as an actor. He was considered a commercial photographer and sold what he called ‘documents for artists’, such as photographs of landscapes, close-up shots and genre scenes which painters could use for reference. 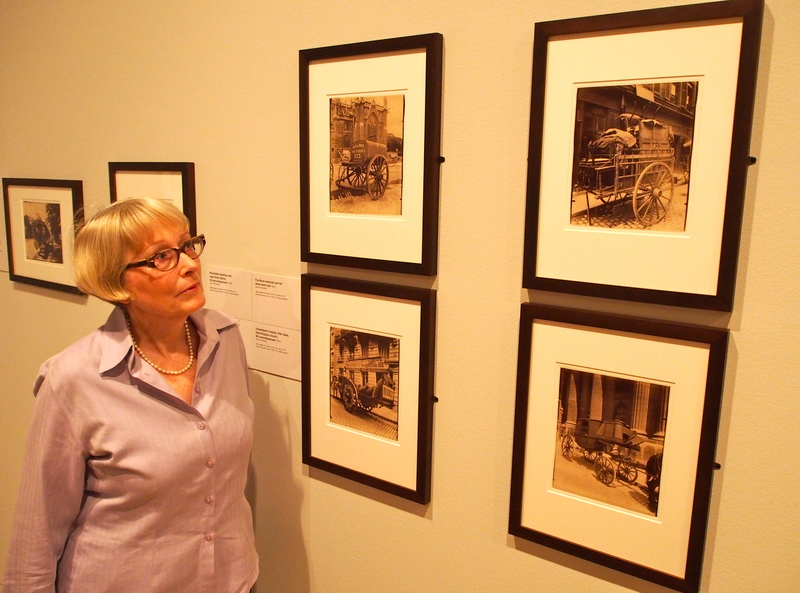 The exhibition gives you a real feeling for Atget’s life and times. Many of the photos show street scenes, old mansions and historic buildings, churches, fountains, the Seine with many of its bridges, trades people and shop facades. Atget used an 18×24 cm wooden bellows camera supported on a tripod and used glass plates which allowed him to capture every detail with precision. The Art Gallery of NSW is the only Australian venue for the exhibition which runs from 24 August to 4 November 2012 and is well worth a visit. Sandra T.
The 2012 Olivier Award Nominee for Best Entertainment & Family Show, Potted Potter, will soon be opening in Australia. The West End and New York hit will be playing limited seasons in Sydney at the Sydney Theatre, Walsh Bay, from 9 to 14 October 2012, as well as Melbourne, Perth, Brisbane and Adelaide. Created by Daniel Clarkson and Jefferson Turner, Potted Potter is a must see for Potter fans and is a great introduction for anyone who’s ever wondered what all the hype is about. 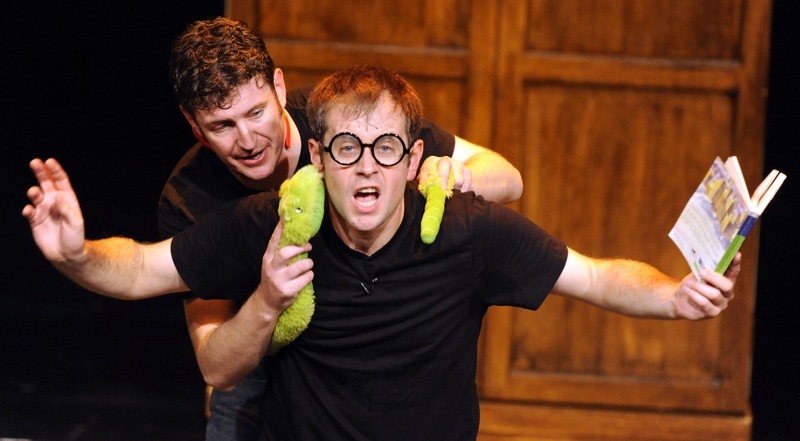 Potted Potter takes on the challenge of condensing all seven Harry Potter books into seventy minutes of fun. Featuring all the favourite characters, a special appearance from a re-breathing dragon, brilliant songs and even a game of Quidditch, plus loads of Hogwarts magic, this show will appeal to every age group. Sandra T.
Sydney’s Capitol Theatre was the venue for this week’s announcement of nominations for the 2012 Helpmann Awards, which honour Australia’s live performance industry, with Simon Bourke acting as MC. The nominations covering 41 categories were announced concurrently in Sydney, Melbourne and Brisbane. Teddy Tahu Rhodes, soon to be appearing in South Pacific at the Sydney Opera House, Lucy Maunder and Bobby Fox, were among those famous stage performers reading the names of nominees. NSW Minister for Tourism, Major Events and the Arts, The Hon. George Souris, congratulated the nominees and said Sydney is proud to host this prestigious Australian event for the 12th year in succession. Minister Souris also announced that Katharine Brisbane AM is the co-recipient of the 2012 JC Williamson Award, awarded to distinguished members of Australia’s live entertainment industry for their extraordinary contribution to the industry. It was announced earlier this year that the late Dr Jimmy Little AO would be a 2012 recipient of this award. 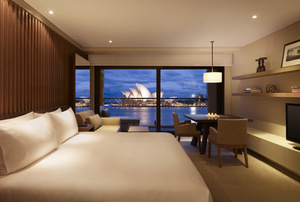 Sydney’s Park Hyatt Hotel has been honoured again with the Deluxe Hotel Accommodation of the Year award at the 2012 Tourism Accommodation Australia (NSW) Awards for Excellence. The award was based on the Park Hyatt’s overall excellence in architecture, design and exceptional service. Since re-opening six months ago after the hotel underwent a complete refurbishment, the Park Hyatt has received four prestigious international and local awards. Two of these awards were from Travel & Leisure Magazine and Luxury Travel Magazine. 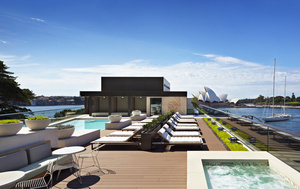 With a spectacular location overlooking the Sydney Opera House and Harbour Bridge, the hotel has three new rooftop suites, including the exclusive Sydney Suite with its 360 degree panoramic views of the harbour and a private outdoor terrace. Any traveller who enjoys luxury and good service with unforgettable views should consider putting the Park Hyatt Hotel high on their list when looking for 5 star accommodation in Sydney. Sandra T.
You are currently browsing the SANDRATBLOG.COM blog archives for August, 2012.